Heroin is killing more people nationwide than ever before. It's cheaper and more potent. The customers are younger. Fatal overdoses have nearly tripled since 2010. WTOP's Jamie Forzato takes an in-depth look at the problem from families affected to what's being done locally. WASHINGTON — Worth Lancaster lost everything. His home. His job. His fiancée. All because of heroin. But he was lucky. At least he survived. Heroin is killing more people nationwide than ever before. It’s cheaper and more potent. The customers are younger. The Centers for Disease Control and Prevention reports fatal overdoses have nearly tripled since 2010. “Yes, it’s the cheapest drug out there. But it’s the most powerful drug there is on Earth. It’s a wonder I’m still alive,” Lancaster says. He started snorting the drug in his early 30s with his fiancée, and their addiction spun out of control. She overdosed and died in 2000. Since then, Lancaster has spent seven of the last 14 years behind bars, because as he says, he’s been chasing the high. He bought and sold heroin laced with other dangerous drugs. But he couldn’t afford it anymore. 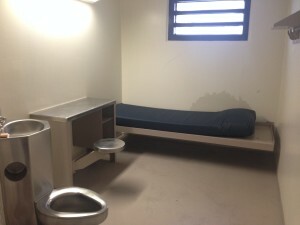 He was arrested and sentenced to two years at the Fairfax County, Virginia Adult Detention Center, where substance abuse counselor Claudette Wells treats hundreds of inmates every year for heroin addiction. “We are never surprised at this point at the job titles that people have held, the socioeconomic background of these individuals. Yet drugs and alcohol have taken over their lives and robbed them of their degrees, their jobs and their health,” Wells says. Lancaster says he’s been clean for three years, and when he’s released he wants to save young adults from the misery he experienced. As Lancaster works toward his goal of helping others, new data from the CDC show the heroin fatal overdose rate quadrupled between 2000 and 2013. The data show the problem is getting worse. Just between 2010 and 2013, heroin deaths tripled. The D.C. area is not immune. Overdoses rose dramatically in the past few years. In Northern Virginia, heroin deaths jumped about 165 percent between 2011 and 2013. From 2013 to 2014, the number of heroin deaths in Fairfax County, doubled. Lucy Caldwell, county spokeswoman, says at least 76 people overdosed, and 18 people died in the county in 2014. In Loudoun County, heroin overdoses skyrocketed 400 percent since 2012. As of September, about 430 people died from heroin in 2014, according to the latest data from the Maryland Department of Health and Mental Hygiene. That’s nearly as many as the number of vehicle fatalities during the entire year of 2013. Heroin deaths in Anne Arundel County are on pace to double since 2013. So many people are dying because the drug is cheaper, stronger, and more deadly than ever. And the gateway drugs are in nearly everyone’s medicine cabinets. “Nobody starts with heroin. Nobody wakes up today and says, ‘Eh. Let me try some heroin,'” says Maj. Jason Bogue with the Prince George’s County Narcotics Enforcement Division. He says prescription painkillers are often the first step. Opioids, including heroin, are the world’s oldest-known drugs and are derived from the poppy plant. “OxyContin, Vicodin, Percocet, Oxycodone, Hydrocodone, and Demerol are all pharmaceutical drugs that are opioids that work the same way as heroin,” says Prince George’s Capt. Chuck Hamby. When a prescription drug runs out or becomes too expensive, addicts turn to the cheaper high that gives them the same euphoric rush. Detectives say more kids with sports injuries are being prescribed pain medications and some are getting hooked. “If you think about how the prescription opioid user learned how to use drugs — they take the whole pill. They don’t take part of the pill. They take the whole pill. That’s how they’re going to consume heroin. They’ll do the whole bag,” Hamby says. The CDC reports nearly four times as many people died from painkillers in 2012 than in 1999, mostly because these drugs are more available than ever. That same year, doctors wrote about 260 million prescriptions — enough for every adult in the U.S. to have a bottle of pills. Some doctors are even landing in jail. Just this month, an Arlington, Virginia surgeon was sentenced to 15 years in federal prison for writing 11,000 fake prescriptions to Oxycodone addicts. New federal regulations only allow one 30-day prescription for strong painkillers, such as Vicodin, and patients must go back to the doctor for each refill. When heroin hits the bloodstream and is carried to the brain, feel-good endorphins block the body’s ability to feel pain. Moments later, the user feels a rush, breathing slows, and the brain starts shutting down. “We know drugs, say heroin, permanently change the wiring of the brain. It makes permanent structural changes in your brain that cannot be reversed and they build tolerance and withdrawal,” says CBS Medical Contributor Dr. Holly Phillips. One bag of heroin costs less than $10. Dealers often cut it with other lethal drugs, such as Fentynal, a powerful anesthetic. But heroin is more potent than ever — from a 3 to 5 percent purity level 40 years ago, to about 90 percent today. Instead of using needles like drug users did in the 1970s, addicts are snorting heroin and leaving few visible signs of abuse. “The stereotypical heroin user from 20 years ago that had the needle marks and the tracks … it doesn’t have to be that now because of the purity level,” Bogue says. “We’ve seen the demographics change. 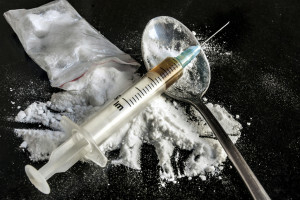 Now what we’re beginning to see is young people, as young as 15 years old, addicted to opiates and heroin,” says Prince George’s County Assistant Chief Craig Howard. Someone who is struggling with heroin abuse tends to show a sudden change of behavior. Other symptoms include sleepiness, nausea, slurred speech, itchiness and hallucinations. Anne Atwood and her daughter Ginny understand the struggle of an addict. Anne’s son Christopher was one. As they sat at their kitchen table looking at family pictures, they talked about his struggle and how the family dealt with it. Ginny and Christopher are siblings by blood, but best friends by choice. “They would do goofy things together,” says Anne. The Atwoods grew up in Fairfax County. Ginny and Christopher enrolled in Christian schools and were involved in many activities. But unlike his older sister, Christopher became withdrawn, and his mom says he was starting to get into trouble. “To some extent, you chalk that up to, he’s a young teenager and he’s making that transition. It’s not easy for anybody,” Anne says. The Atwoods enrolled Christopher in several drug rehab centers over the next couple years. Some facilities cost more than $1,000 a day. He graduated from a Utah wilderness program with several months of sobriety under his belt. “His brain finally had a chance to be clean and mature. And I wish to God we never brought him home,” Anne says. When he returned, he relapsed and was rushed to Inova Fair Oaks Hospital. He survived, but his struggle wasn’t over. “Every day that I came home I wondered if I would find him overdosed. And one day I did,” Ginny said. One month after the relapse, on the morning of Feb. 22, 2013, Ginny says her brother was acting weirdly and hadn’t slept the night before. “I went to work and I just was overcome with this horrible feeling that something was wrong. Something in my head said, ‘Go home.’ I walked in and he was laying on his bed and his arm was a funny color … I turned him over and he had been choking … I tried to do CPR but it was too late,” Ginny says. She called 911 but his brain had been deprived of oxygen too long. “He was basically brain dead. Eventually we made the decision that we were never going to have him back,” Ginny says. His mother Anne fights back tears recalling that day. “His struggle was over … He wasn’t suffering anymore. 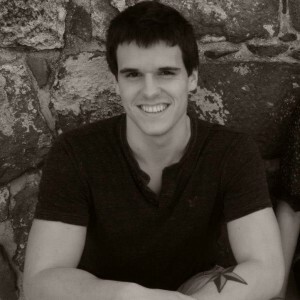 It’s really, really hard as his mother to see your healthy 21-year-old boy that worked out and was the picture of health and so strong and handsome … I just wanted to crawl into the hospital bed with him and just … be gone with him,” she weeps. Ginny still harbors some regret. But the Atwoods are saving lives. They started the Chris Atwood Foundation to help recovering addicts. “Christopher felt like a freak because of his disease. He felt like he was shunned and would never be normal, never be like anyone else again. So we’re trying to take that word and make something good out of it,” Ginny says. Their acronym, F.R.E.A.K.S., means Friends and Relatives Embracing Addicts and Kicking the Stigma. Two years later, Christopher’s bedroom looks the same. Posters hang on the walls, pictures on a desk. A whiteboard near the closet mirror is still covered in his handwriting: A to-do list, a funny cartoon, some places to apply for jobs and Ginny’s graduation photo. Movies and television often glamorize the work of undercover narcotics officers. It only takes an hour to solve the case and the bad guys almost always lose. But real detectives say it can be a grueling, thankless job. “I have 50-plus detectives that do undercover narcotics investigations. Most of those guys put in between 14 and 20 hour days. The average 10-hour workday doesn’t exist in narcotics,” says Captain Paul Cleveland, the Commander of the Organized Crime and Narcotics Division in Fairfax County. He’s done it all, including the undercover drug buys and the all-night surveillance. Taking drug dealers off the streets can be dangerous, so detectives want to catch the big fish — the suppliers. They collect evidence, sometimes for months, before they get enough probable cause for a court-ordered search warrant or wiretap. A suspect’s cellphone records, bank accounts and social media posts are tracked. Informants trade information for plea deals. “We don’t wiretap your average dealer. These are cases that are high-level, high-profile and in the end we expect a big return,” Cleveland says. When heroin first came on the scene in the 1960s and 1970s, the culture was much different. “Before, it used to be that if you possessed heroin, we’re going to take you to jail. Now, we’re trying to break the cycle by the way we’re viewing it. Trying to get you help up front,” Cleveland says. Heroin is primarily smuggled into the United States from Afghanistan, Mexico and Colombia. It’s a big problem in Northern Virginia. The area experienced about a 165 percent increase in heroin deaths between 2011 and 2013. Those autopsy reports often land on the desk of Ray Morrogh, the Fairfax County Commonwealth’s Attorney. “You’re actually playing Russian roulette every time you use heroin. This drug is just pure evil,” Morrogh says. He actually represented heroin addicts earlier in his career. Drug users can be unpredictable and even violent while under the influence. Morrogh cites the 2010 Vanessa Pham murder case as an example. Julio Miguel Blanco Garcia was sentenced to 49 years in prison for stabbing Pham at least 13 times while high on PCP. “You can call heroin dealers nonviolent criminals, but I can tell you that violence does result from the sale of heroin, PCP and cocaine,” he says. The call to increase funding for mental health and drug treatment centers has never been louder. One of the most vocal proponents is Virginia Sen. Creigh Deeds, whose son suffered from mental illness and took his own life. Morrogh says access to adequate health care and treatment is a big part of changing the drug culture. “It takes about three months to get into treatment, even if you’re court-ordered. It’s not popular to put money into treating addicts. Hogan, Maryland’s governor, says he’s acting immediately. 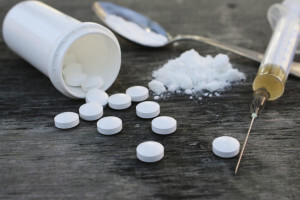 “I was shocked at how widespread this problem had become … Dealing with this problem is an emergency which we simply must address,” Hogan said at a news conference in February, where he outlined his plans to fight fatal heroin overdoses. He formed a state-wide council and task force to investigate the issues surrounding the drug problem. He also announced Kaleo Pharmaceuticals will donate 5,000 EVZIO kits, which are similar to epi-pens and contain naloxone, a drug that counteracts a heroin overdose. 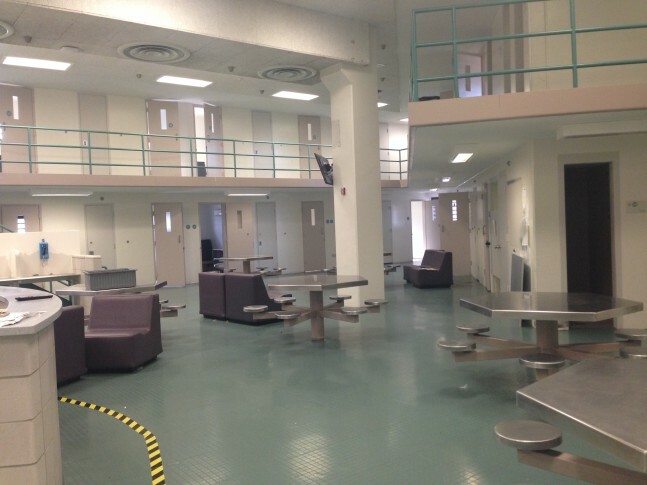 A $500,000 federal grant will go toward treatment programs in state prisons. Last Friday, Maryland House lawmakers approved changes to Hogan’s budget, including a plan to provide $2 million for heroin treatment. Critics say the cuts to Medicaid championed by former Gov. Martin O’Malley and continued by Hogan limit access and funds to addiction recovery programs. Mike Gimbel, a former director of Baltimore County’s substance abuse office, tells the Baltimore Sun that there is no plan for long-term, residential drug-free treatment. Two bills before the Maryland General Assembly, HB 222 and SB 303, seek to hold drug dealers accountable for the death of a drug user. “We are talking about people who are distributing drugs for profit and killing people in our community,” says Montgomery County State’s Attorney John McCarthy. If the bills pass, drug dealers could be sentenced for up to 30 years in prison and grants immunity to anyone who witnesses an overdose and calls for help. Law enforcement will be able to administer naloxone, which has reversed more than 10,000 overdoses between 1996 and 2010. “It’s very difficult now to get naloxone. Everybody ought to have access to it,” says Virginia Gov. Terry McAuliffe. A Safe Reporting bill grants immunity to someone who witnesses an overdose, stays on the scene and calls for help. The Prescription Monitoring Program grants probation officers access to Virginia’s Prescription Monitoring Program to make sure convicted criminals are not receiving unauthorized pills. McAuliffe says reining in fraudulent prescriptions needs to be a priority. The heroin epidemic is making a splash in Congress, too. Sen. Tim Kaine, D-Va., is working on a Good Samaritan bill that would protect people who give lifesaving drugs to users who overdosed. 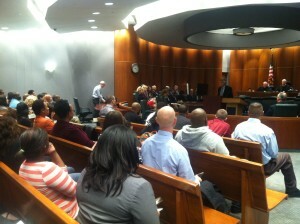 It’s a chilly November night in Montgomery County but courtroom 3E is packed. A guest of honor stands before an audience of recovering drug addicts. It wasn’t too long ago that she was sitting where they are now. Shuletta Moore used heroin for years. “Crack and heroin told me that you don’t need to take care of your son, you need to take care of us,” says Moore. That was until she was accepted into the county’s drug court in 2008 and graduated from the program in 2010. Drug court participants are nonviolent offenders who are offered a chance to get clean under strict rules: Regular drug tests and meetings with case workers every day for two years. Sitting in the front row, eight people in this class have completed the program and they’re graduating on the 10th anniversary of drug court. “I was killing myself. When I got to drug court, it was not comfortable. And they were helping me to save my life … I’m actually grateful. I just got married. I would never think someone would want to marry me,” says Moore. Like several of the other graduates, Brett fell off the wagon a few times. But he decided to turn his life around. Another graduate, Jonah Carter, has been sober since he entered the program in 2012. “There was a time not too long ago when I would have traded my very last breath for a hit of crack. Using was more important than living,” he says as he breaks down while thanking his mentors and fellow participants. A poem Carter wrote moved the courtroom to tears. The words ‘drug’ and ‘court’ have always shared a page. One stands for justice, while the other is a cage. As long as there is freedom, their paths will always cross. One gives us liberty. The other gives us loss. These graduates and their families are also surrounded by current participants. Some have committed to their sobriety but others have fallen back into old habits. About 15 percent never finish.